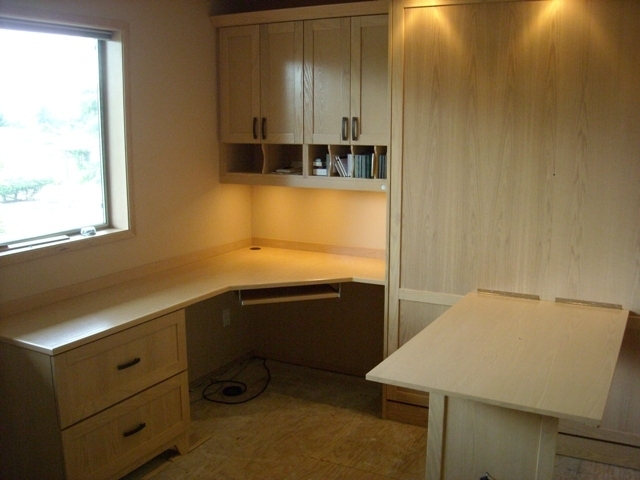 A home office needs to utilize its space well. 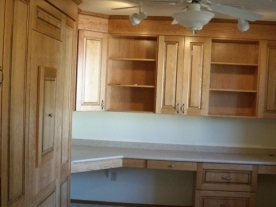 Northwest Closets & Wallbeds, LLC / Wallbed seattle will design an amazing office that takes advantage of your rooms best qualities. It's all about you so we want to know what's important to you in your office. Do you file legal or letter? 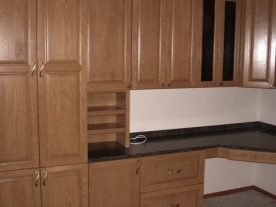 Want to hide your printer? 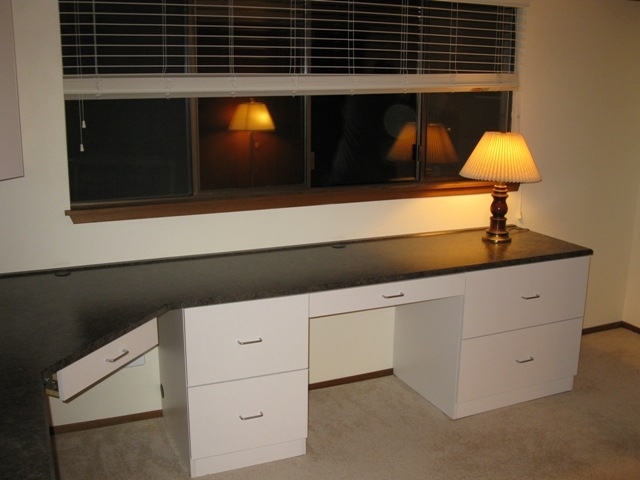 Need more desk space? How about lighting? 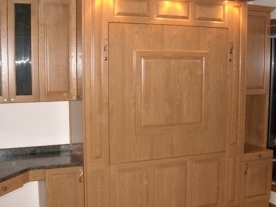 There can be many options available and just as many styles to choose from. 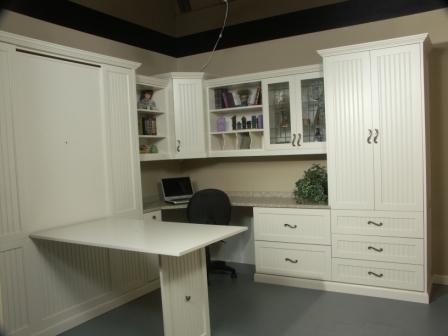 Your new home office can be made from natural wood, melamine or a combination of both to save money. The Wallbed can be a twin, full or queen size and any style you like. 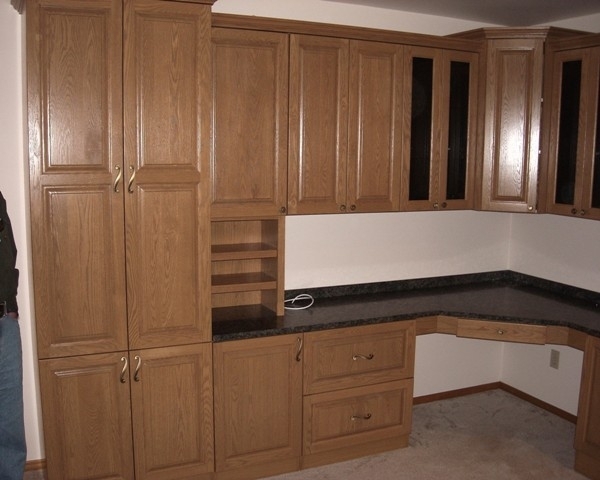 Some options to consider for your new home office are printer pull out / file cabinets, CPU cabinets, mail slots, open cabinets, glass door cabinets, pencil drawers, keyboard pull outs and more. 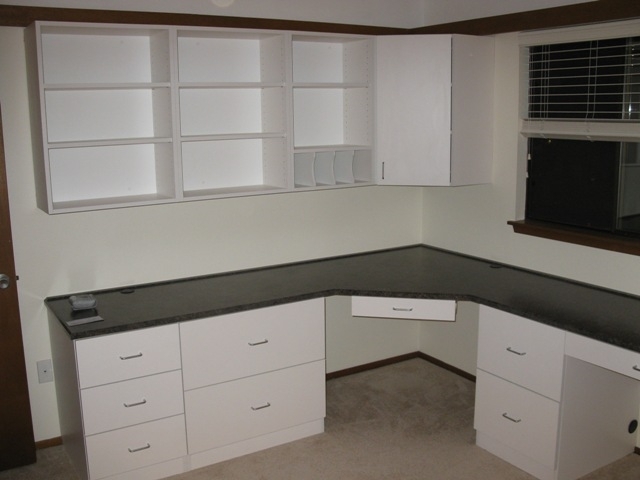 We use Wilsonart plastic laminate counter tops for all the home offices we produce. Follow the link to the Wilsonart home page and select your laminate and view the Decorative beveled edge program. 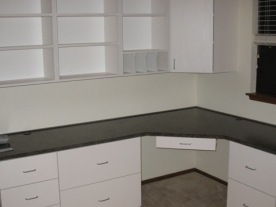 For a few dollars more and the help of a decorative edge you can turn any countertop from boring to interesting. 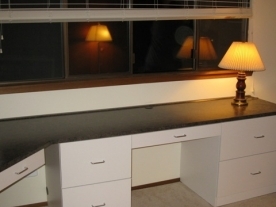 Lighting is a concern as well, most home offices lack adequate lighting because the original intention of the room was a bedroom. Now we need lights. 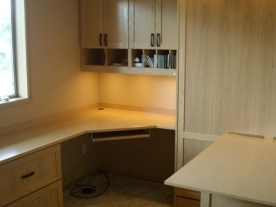 Task lighting under the upper cabinets is great way to illuminate your desk. 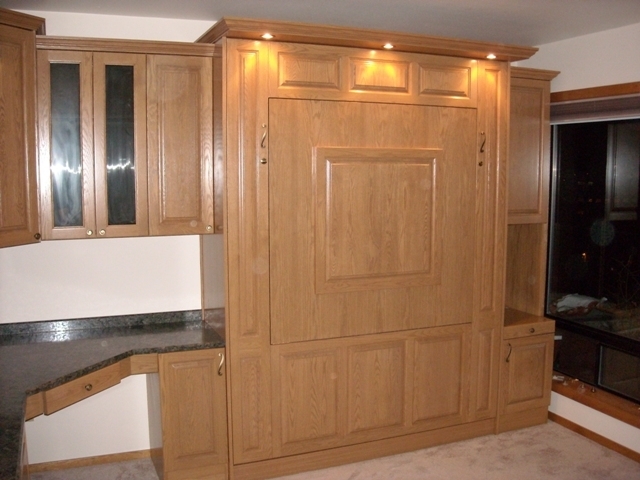 EnJ cabinets uses halogen furniture spot lights from Herra lighting for this task. 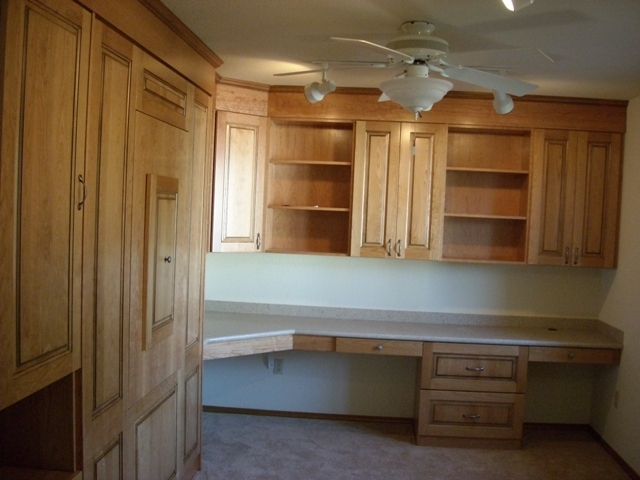 Picking hardware for your new home office is just as important as picking the right stain. 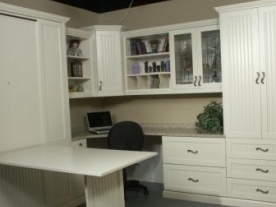 the wrong hardware will make your new home office look like it belongs in some one else's home follow the link to Berenson Hardware to choose your hardware.